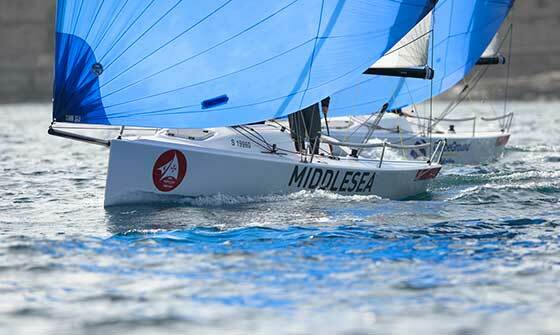 The Middlesea J70 Med Cup was recently launched at the Royal Malta Yacht Club by Hon. Chris Agius, Parliamentary Secretary for Research, Innovation, Youth and Sport. 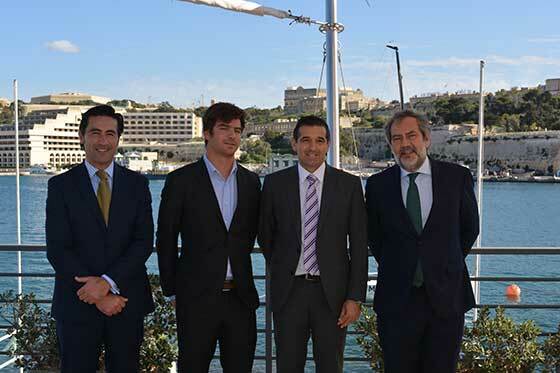 The international sailing event, which will be taking place for the first time between June 4 and June 7, 2015 in Malta is sponsored by Middlesea Insurance and organised by the J70 Association Malta in collaboration with the Royal Malta Yacht Club. During the launch, Chris Agius praised the initiative, especially the positive impact which the race will have on local tourism. "The Maltese sea and landscape are second to none and Malta surely deserves to be a world class sailing destination," he said. Alfredo Munoz, President and CEO of Middlesea Insurance said: "Mapfre Group, of which Middlesea Insurance forms part, has a long tradition of supporting sailing events. In fact, MAPFRE is currently one of the sponsors of the Volvo Ocean Race." Sebastian Ripard of the J70 Association Malta praised the attributes of the J70 boat, stating that this sailing class is increasing in popularity since it offers a fun but demanding sailing experience. He added that the Association is doing its best to attract as many participants as possible to the race.